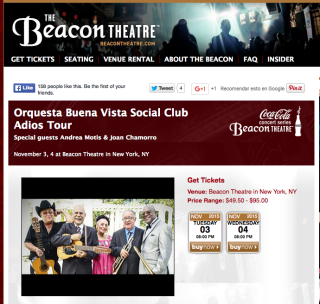 Andrea Motis and Joan Chamorro make their US live performance debut in support of Feeling Good (Whaling City Sound) opening for the Orquesta Buena Vista Social Club™ at New York’s famed Beacon Theatre. Featuring 16 tracks of dreamy, classic vocal jazz Feeling Good has already wowed European fans and critics alike. John Fordham of the UK’s Guardian wrote “[Motis] plays poised, straight-swing trumpet, and sounds childlike without capitalizing on cuteness.” Learn more here.